Complimentary Valet Parking available. Private lot available. Located in North Dallas, III Forks serves the ultimate in Texas French cuisine. 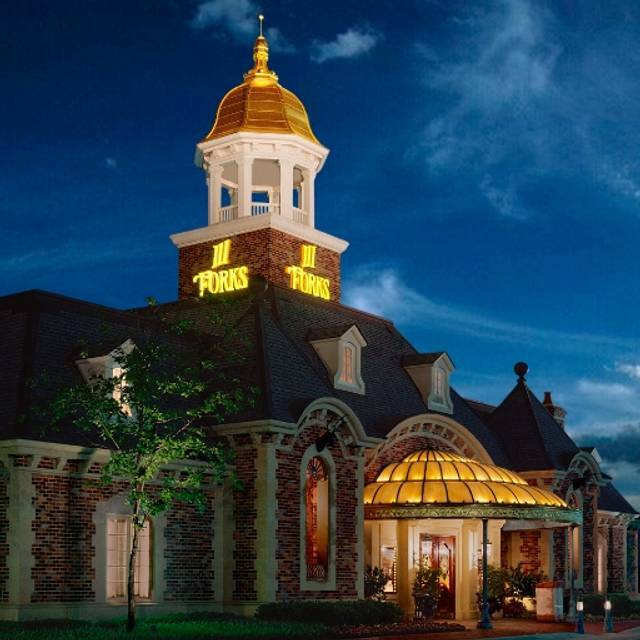 III Forks is a restaurant that has recreated the grandiose lifestyle experienced by Texans who believed that fine dining was a perfect combination of great food, great service, great atmosphere and great music spent with the ones you love. With over 25,000 square feet of elegant dining, III Forks can accommodate intimate parties, as well as social gatherings up to 1000, which makes this the perfect choice for any special occasion. III Forks makes each and every special event memorable. Includes tea and coffee. Excludes tax and gratuity. Join us Easter Sunday! Featuring a 3-course brunch menu, mimosas for the table & more. Kid brunch & dinner menu available. Open Easter Sunday from 11 a.m. - 8:30 p.m. Thank you, Craig, for dining with us this week and for your 5 star review! 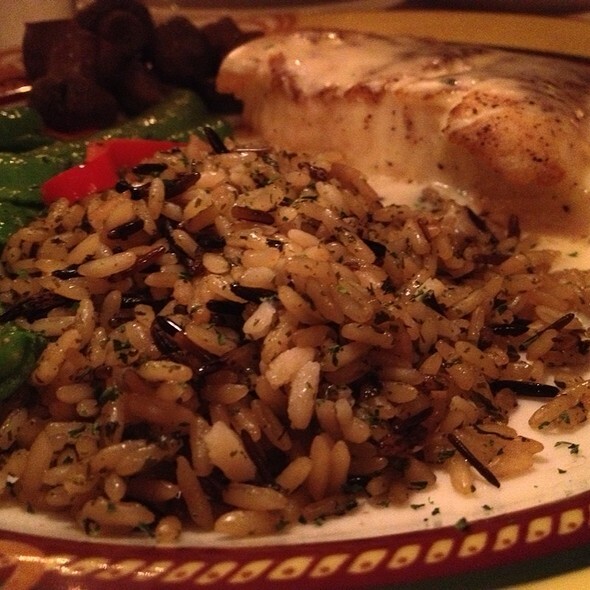 It's wonderful to know that you enjoyed your meal and Giacomo's service. 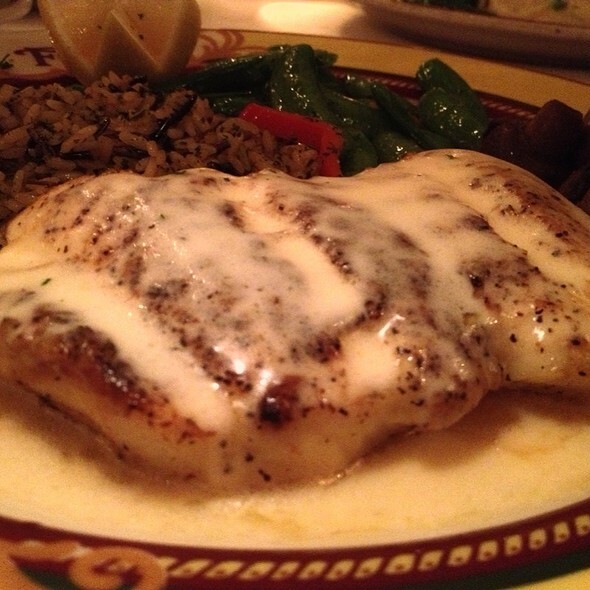 Looking forward to your next visit...perhaps to try the chef's creative and delicious nightly fish feature next time! They had an issue with one of the entrees so held off on bringing any of the entrees out. We waited probably an extra 25 minutes more than normal on getting our food. By that time, we were full of bread and had lost our appetite. The manager gave us a half hearted apology and gave us free dessert but should have offered to reduce our bill which was over $400. We have been going to Three Forks since it opened and never been disappointed. We had friends from the UK staying with us who have triplet boys now 21 and to celebrate they wanted to go to their dads favorite restaurant. They were not disappointed as they were well looked after by Mustaffa & the rest of the staff and the steaks were of course, divine. Best they had ever had. Thank you, Peter, for dining with us this past Saturday and for your kind review! It was an honor to help the triplets celebrate their 21st birthday, and it's wonderful to know that everyone had an excellent experience. Thank you for your longtime patronage, and we look forward to your next visit! Everything was great. We went for my husbands birthday and couldn't have been treated any better. The Waiter was excellent throughout the meal. He would give us plenty of time to decide on selections but not too long. Both of our steaks were excellent and cooked to our liking. They even served us a huge piece of chocolate cake to celebrate his birthday. We will definitely be back. As always a fantastic meal at one of the, maybe THE, best steakhouses in DFW. It’s not cheap, but worth every penny for special occasions or if you simply have way more money than most. Our server, Alicia, was exemplary! 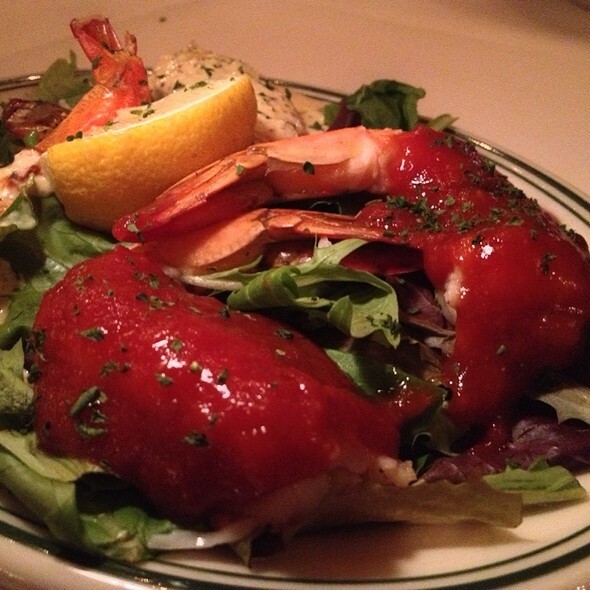 Delicious entrees and appetizers. Great wine list. Great service. Hello Ricky - Thank you for dining with us this past weekend and for your kind review! We're delighted to know that you enjoyed your food, wine, and service. Looking forward to your next visit...perhaps this Easter? We're offering a delicious brunch style menu from 11am-3pm and the full dinner menu from 3pm-8pm. Reservations are still available! We absolutely Love Three Forks! Scott the Somali is so nice, friendly and knowledgeable, he’s one of the main reason we keep coming back to Three Forks. Our waiter was Austin and he too did a wonderful job, he was friendly and gave us great service. My husband had the sea bass, I had the bone In filet we shared and it was delicious! Also I love the fresh tomato’s served at the table, such a nice touch! Thank you, Tammy, for choosing III Forks this past Saturday night for your husband's birthday dinner and for your amazing review! It's wonderful to know that you enjoyed the food and that manager Scott and server Austin took such great care of you. They are both valuable assets to our team, and we thank you for recognizing them. Manager Scott actually started with us 20 years ago as a server when we opened! We thank our staff and long time patrons like you for enabling us to reach 20 years! Our favorite place to celebrate the anniversary; we also did my retirement dinner January 2018. Thank you, Ron, for dining with us this past weekend and for your 5 star review! We're honored that you chose III Forks to celebrate your anniversary and retirement. Looking forward to helping you with your next special occasion! We had a drink at the bar and enjoyed the piano player. Went to the table and had a wonderful meal to celebrate my birthday. Thank you, Rosemary, for choosing III Forks this past Monday night and for your 5 star review! It was our pleasure to help you celebrate your birthday, and it's wonderful to know that you had a lovely evening. Pianist Dennis Cavalier typically plays here every Monday-Thursday night, and for your next reservation you're welcome to request a table near the piano. Looking forward to your next visit! Thank you for choosing III Forks and for taking the time to write your review! It was our pleasure to have you again as our guest and to help you celebrate your birthday. Looking forward to your next visit...perhaps this Easter Sunday? We're offering a delicious brunch style menu from 11am-3pm with the full dinner menu from 3pm-8pm. The server described the dessert items instead of giving us a dessert menu. She failed to say that the dessert we ordered had liquor in it — which I can’t have. 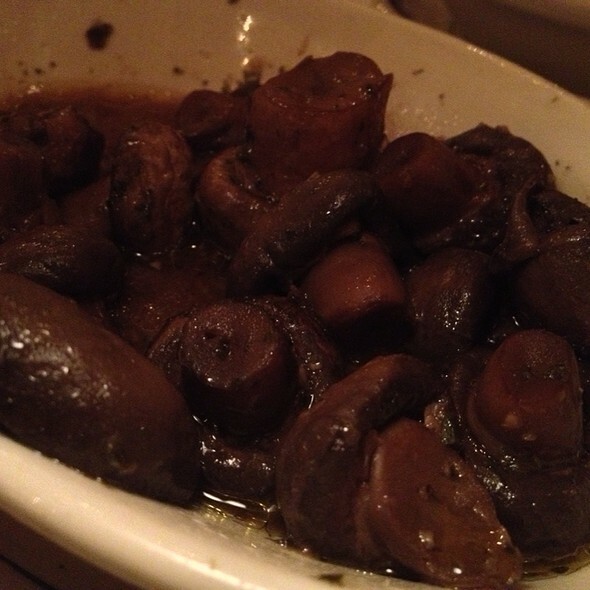 Great food great app great wine seated fast and got reservation online quickly. I recommend this to everyone. Hello Chris - Thank you for dining with us this past Saturday and for taking the time to give this great review! It's wonderful to hear that you had an exceptional experience. We look forward to your next visit...perhaps this Easter? We're offering a delicious brunch style menu from 11am-3pm and the full dinner menu from 3pm-8pm. Live music was too loud to enjoy conversation. Our 2 steaks were severely undercooked. I ordered my filet medium well, and it was medium rare. The other was ordered medium rare, and it was on the rare side of rare. III Forks is awesome! Not inexpensive but worth it! Wonderful food, great service, exceptional wine list, all in a fabulous ambience! We will be delighted to return! Good day - Thank you for dining with us this past weekend and for your amazing review! 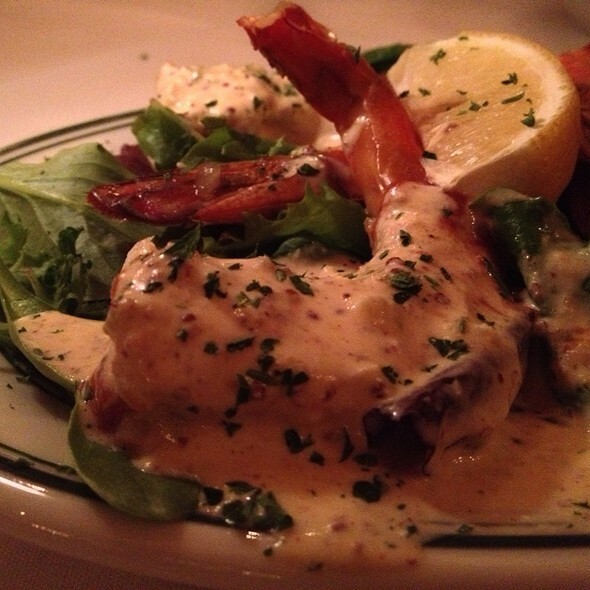 We're delighted to hear that you enjoyed the food, service, wine, and ambiance. When you make your next reservation, feel free to request the same room you so enjoyed. Looking forward to your next visit! Will definitely will be returning again. Thank you for the amazing experience. Thank you, JR, for choosing III Forks this past Friday night and for your 5 star review! It's fantastic to know that you had an outstanding experience. We look forward to having you as our guest again soon...perhaps for a wine tasting Wednesday? We offer a wine tasting event the 1st and 3rd Wednesday each month with 6 wines and chef hors d'oeuvres for only $30 per person. a bit too much noise. food is good, but not great. This was our first time at III Forks. The lobster bisque was fantastic, we each had filets. They were delicious and perfectly cooked. The side items were mediocre, corn is good, potatoes blah and snap pea were taking home to the dog. The mandarin cake was yummy and huge. Everything was perfect! Service, salad,steak,dessert! Thank you, Kenny, for dining with us on Friday and for your kind review! It's wonderful to hear that your experience was outstanding. Looking forward to serving you again soon...perhaps on Easter? We are offering a special brunch menu from 11am-3pm for only $49 per adult! We loved Iii Forks. My wife and I had a blast and we will be back. Thanks for everything. Thank you for dining with us last week and for your review! We look forward to serving you both again soon...perhaps at our next Wednesday wine tasting? They are typically the 1st and 3rd Wednesdays of the month from 5-7pm and include 6 wines & chef hors d'oeuvres for only $30 per person. Please call us to reserve! Best steak in Dallas. Great service. Outstanding value. Hello, Henry - Thank you for dining with us this week and for your awesome review! We look forward to seeing you again soon...perhaps this Easter? We'll have a delicious brunch style menu from 11am-3pm and the full regular menu from 3pm-8pm. The food was amazing! Steaks were perfectly cooked and everything was presented beautifully! The service was very personal and timely. Thank you for choosing III Forks and for your 5 star review! We are delighted to know that you enjoyed the service and the food. Looking forward to serving you again soon...possibly this coming Easter? We will be open from 11am-8pm with a delicious brunch style menu from 11am-3pm. Jaxamo was an amazing waiter. Everything was perfect. Thanks. We had dinner there for my birthday, and were NOT disappointed! The food was amazing! Hands down the best filet I have ever eaten. The atmosphere was very pleasant. Our server was very attentive, and John, the GM went out of his way to make us feel special. We will definitely be back!! Thank you, Robert, for your kind review and for choosing III Forks for your birthday dinner! It was our pleasure to help you celebrate this special occasion. Looking forward to serving you again soon! 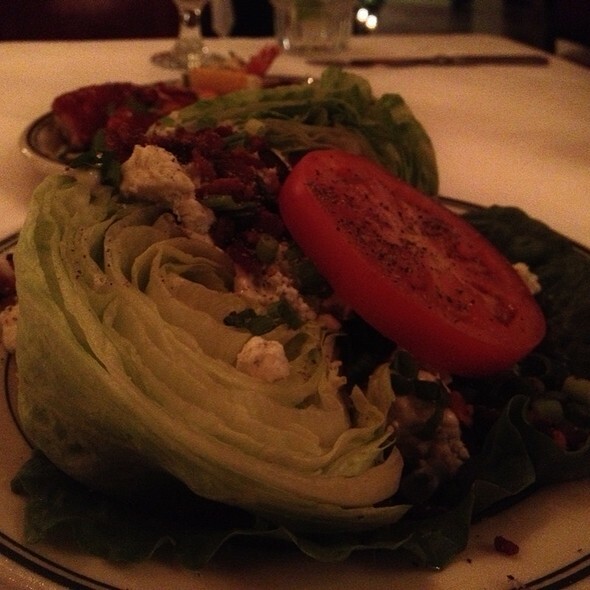 This is one of our favorite places for special occasions. My brother and sister in law were in town from MS visiting so we took them to celebrate my sister in laws birthday! She was in heaven. They couldn't stop talking about how good the food was. Especially the corn and steak! It made a big hit!! Love me some III Forks! Thank you for choosing III Forks for your sister in law's birthday and for your awesome review! We are honored to be your special occasion restaurant. Looking forward to your next visit! I have been to several different III Forks locations around the country, but I was a bit disappointed with the steak preparation at the Dallas location. It was served barely charged on one side but no charring whatsoever on the other side. A bit disappointing for a high end steakhouse. As always, excellent experience from the moment you drive up, walk in and are greeted by hostess, seating by hostess, waiters are always top of the line, attentive but not intrusive and of course the food is fabulous. The piano player is lovely while the sports bar TV with latest excitement in background is fun for all. I have preferred dietary needs and your staff always is so very accommodating and acts like it just dinner as usual for me which I love not having to be "that" person in the group all the time. We love our splurge nights out at III Forks and look forward to our next good excuse to go. III Forks always delivers with service and food. We were seated near the fireplace, so the ambiance was great. Unless you want to overeat, the sides that come with the steak dishes are probably plenty without the additional orders. 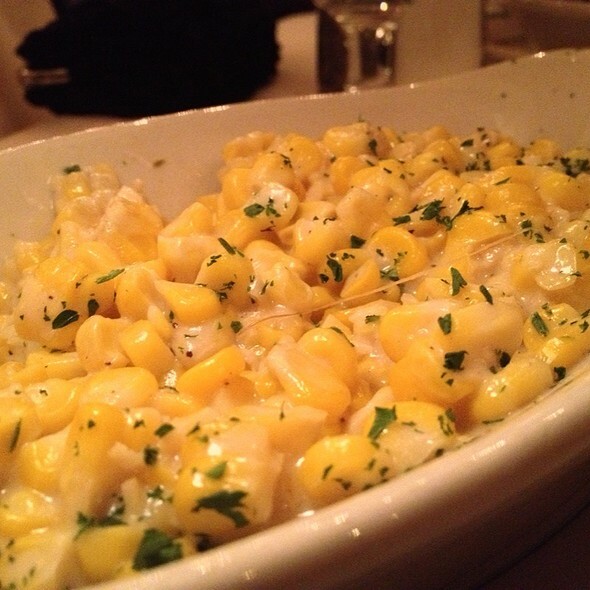 Your meal includes mashed potatoes, creamed corn, fresh tomatoes. The lobster mac & cheese is pretty special though if you really want to add it. Excellent location for a business meal, friends at dinner or special evening out. Service was outstanding. Our waiter was phenomenal. We will return. It is pricey, for a special occasion itwas worth it. Went here for our anniversary and as always the food and service was excellent. Was a little noisy with the piano player and people sitting around us but overall one of our most favorite places to eat. Thank you for dining with us last week and for your review. We are honored that you chose III Forks to celebrate your anniversary. Looking forward to helping you celebrate your next special occasion! Thank you for choosing III Forks for your dinner last week and for your 5 star review! 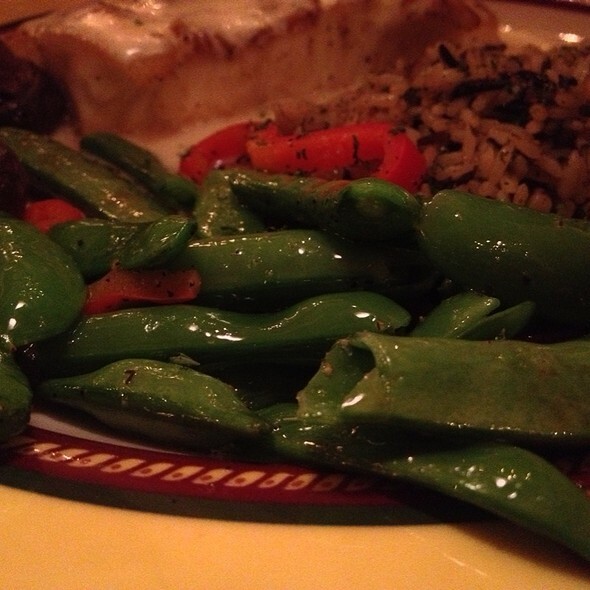 We are honored to be your favorite steak house. See you soon! This was my second time coming here, and once again the service and food was amazing. My boyfriend and I came to celebrate his birthday and from the moment we walked in everyone was so welcoming. Good morning, and thank you for your amazing review! We are honored that you chose III Forks for your boyfriend's birthday. It's wonderful to hear that you all had another amazing dining experience. Looking forward to helping you celebrate your next special occasion! We came for a special occasion (and it was our first visit too), and were treated very well. Our waiter, Barry, took great care of us and made excellent recommendations. Normally I wouldn't spend nearly $100 on a steak, but Barry suggested that the portion size (18 oz) was large enough to share, so he brought out a second plate of sides and we split the steak. It was delicious! The main dining area was a bit loud, especially with the live piano player in the foyer. But the music was a nice touch overall. The dining room was also quite chilly, but they provided a shawl for my partner which kept her warm. We were given a complimentary dessert to celebrate the occasion, and it was divine! We will definitely come again. Thank you, Brian, for choosing III Forks last week for your special occasion dinner and for taking the time to write your amazing review! It's great to hear that Barry took such great care of you. Looking forward to helping you celebrate your next special occasion! Order was placed as recommended by server then 15 minutes later told they didn’t have it even tho on menus. They offer a substitute that is a little less or little more. I ask which is it and have to insist to find out its $50 more. Then I ask for menus back and I have to insist 3 times to get menus. 30 minutes in since original order and have to ask for wine we ordered and they were put out. Finally ordered steaks and server just leaves in middle of order so we get steaks blood red. At this point we just got check and left. They emailed me a survey and called me. I returned call and whoever answered said not to call this number that it is for making reservations only. Eventually I did talk to someone else there who apologized. A special evening was ruined and I paid them to ruin it. This maybe a one off but management just passed issue around and checked their box. Wonderful experience and delicious food. So much food for a wonderful price. Thank you, Virginia, for dining with us this past Sunday and thank you for your kind review! We look forward to your next visit! Thank you kindly for your 5 star review and for dining with us last weekend! We look forward to serving you again soon! Super Steaks and the atmosphere exciting, but the service is just paramount! Thank you for your recent visit and for your outstanding review! We look forward to seeing you again soon! My husband and I love III Forks, Dallas. The staff are attentive, and go above and beyond. The food is absolutely delicious and the ambiance is wonderful! Hi Dana, and thank you for your amazing review! We love that you and your husband are some of our biggest fans. Looking forward to serving you again soon!